If you’re looking for a high-end beast of a performer in a laptop, then look no further. The new Toshiba Qosmio line has arguably the best of the high-definition media centers that you will find today. With its 1080p widescreen resolution, you will find that it will do more than satisfy you when you’re watching movies. 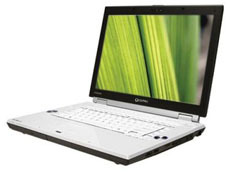 One of the best things that you will immediately notice about this laptop are the four Harman Kardon speakers which are placed strategically adjacent to the screen. There are two above the keyboard and a single subwoofer and 1-bit amplifier attached to it. If you’re still doubting the capabilities of this laptop by Toshiba, then you will be relieved to note that the graphics card in this is in the same as in the Apple MacBook Pro 17-inch Core 2 Duo T7700 so 3D games are not a problem. 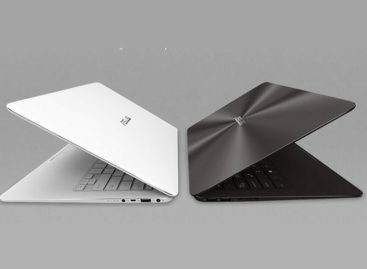 This is definitely a revelation for those who have lost their faith in Windows-based laptops. Try this out and see what the buzz is all about.